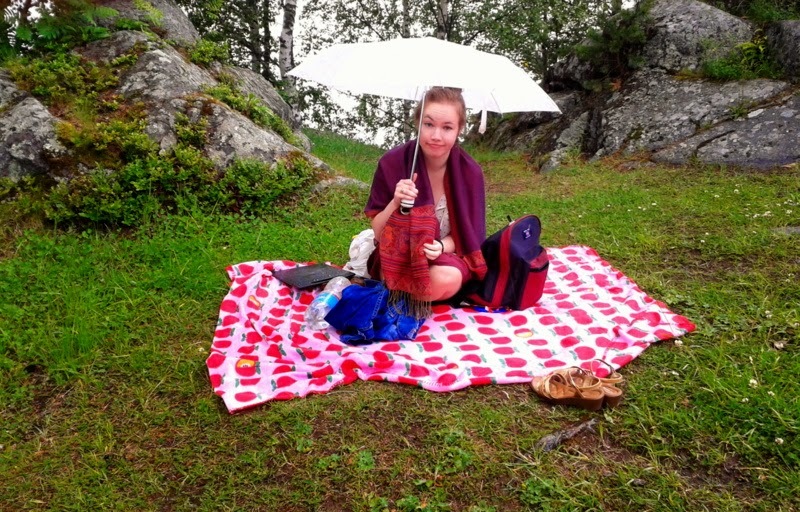 Had a pic nic in the rain and I wasn't too happy about that. Lesson learned: Never trust a sunny day in Finland! Went to a Finnish salsa party which was pretty okay let's say. As my sister said once for the Finnish dancing style it was like seeing anorectics wrestling with sumos. Spent a lovely weekend with our family friends talking about good old times. That's my life so far and guess what!? It's raining again...so lovely!